Preparing a mailing to parents is a work-intensive project. 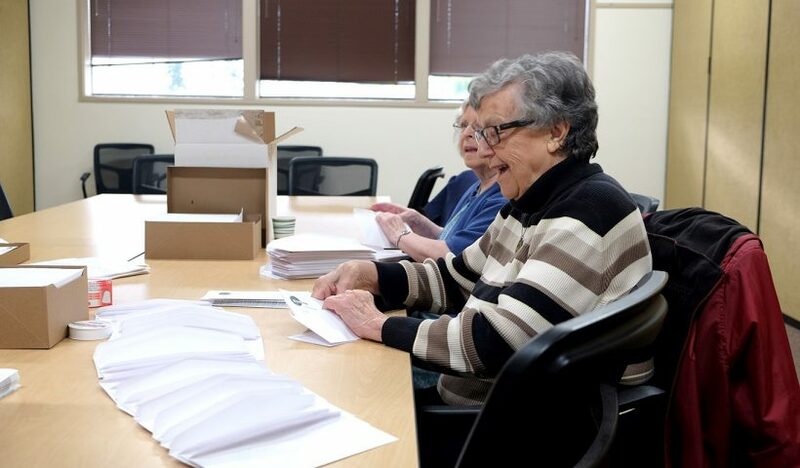 To help get an upcoming mailing to parents ready to send, the District sought help from some expert volunteers through RSVP, Retired Senior Volunteer Program of Linn County. Regular volunteers Elaine Yearsley (also known as the Volunteer Queen), Geri Egli, Linda Creager and Virginia Erickson showed up this morning to stuff and label envelopes for a letter to middle and high school parents about the Pipeline to Jobs program, which partners with the district to help students learn about local industries and opportunities to learn skills for jobs. The volunteers said they enjoy the opportunity to work with different organizations and share their time and skills. 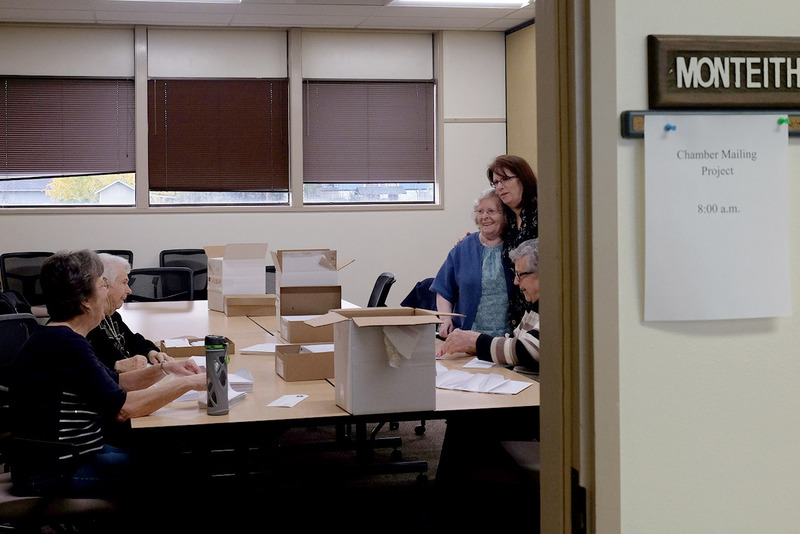 Geri Egli, who retired after a 33-year teaching career in Iowa, said she likes staying busy and giving back. Virginia Erickson said it is a good opportunity to meet others and get out of the house. 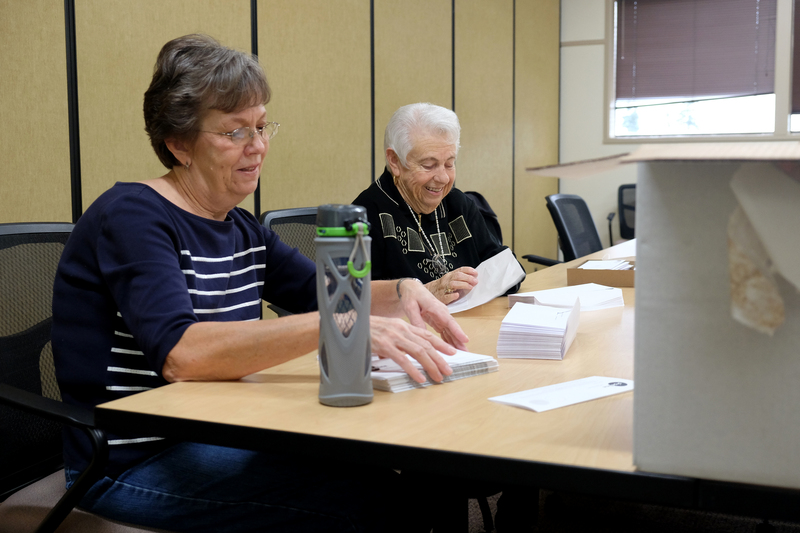 Elaine Yearsley said she volunteers year-round in the community at the Senior Center, Chamber of Commerce, county healthy department and school district whenever they call. She’s also a regular volunteer at River Rhythms and the Art and Air Festival. And she has donated volunteer services to the Red Cross for 45 years.